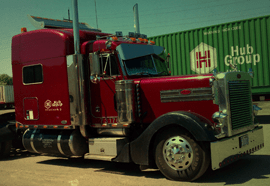 Hub Group Trucking’s culture has set us apart from our competitors over the years. It’s our employees and independent contractors who have given Hub Group Trucking its success, and those same people will give Hub Group Trucking an even brighter future as it moves through the next decade. Feel free to contact a Hub Group Trucking Recruiter or Terminal Manager.